I love a good podcast! We’ve done a whole series with David Pope and the team at Clinical Edge this year and got brilliant feedback. So I was really excited when International Athlete and Running for Real Founder Tina Muir invited me to chat on her hugely popular podcast. Every host is different but I must say Tina is a really talented interviewer and I thoroughly enjoyed recording with her. 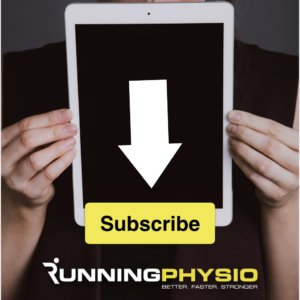 We covered a lot of ground on issues facing runners from tips on shoe selection to getting the most out of your appointment with a physio. We even talked about my cheese addiction! Tina had clearly done her homework. And finally… Tina asked me about my pre-race ‘Power Pose‘…here it is! For more podcasts check out this great collection on Clinical Edge that includes a host of running related discussions from loads of great clinicians. Next articleCan gait re-training reduce risk of running injury?